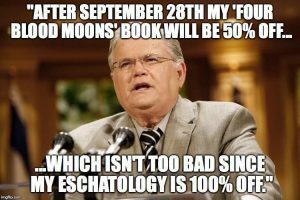 What’s Wrong with John Hagee?? 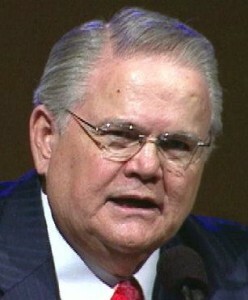 | What’s Wrong with John Hagee?? 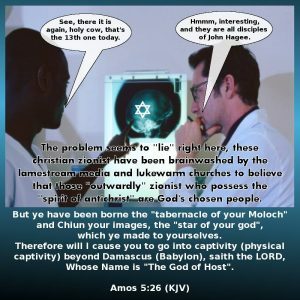 – Who is Israel? How & Why is this Important? Born ‘OK’ the 1st Time? 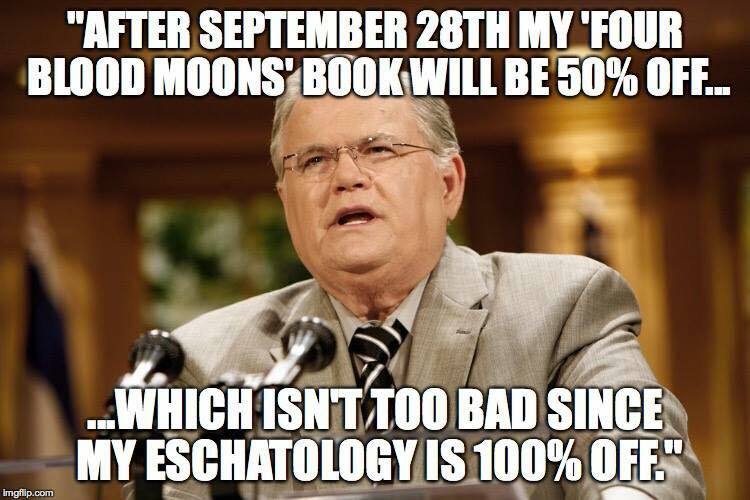 What’s Wrong with John Hagee?? What is wrong with John Hagee & CUFI? 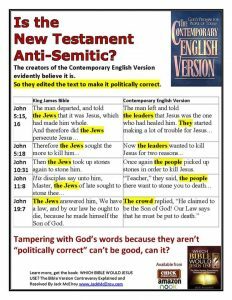 What is wrong with John Hagee’s congregation?!!! For more alarming teachings from the intinerant speaker, Sam Gipp, click here. This entry was posted in Featured, Uncategorized. Bookmark the permalink. The following is the prayer that Hague prayed on the program, It’s A New Day on the TBN/DAYSTAR network transcribed from the video. John Hague with Benny Inn: Praying for War in the Name of Jesus. 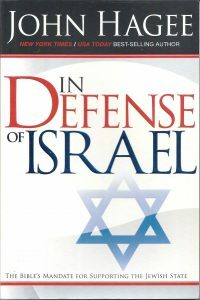 These people BELIEVE that they can help usher in the “Rapture”, by establishing Israel as the supreme ruler of the Middle East. They are literally calling for WAR (bloodshed)! 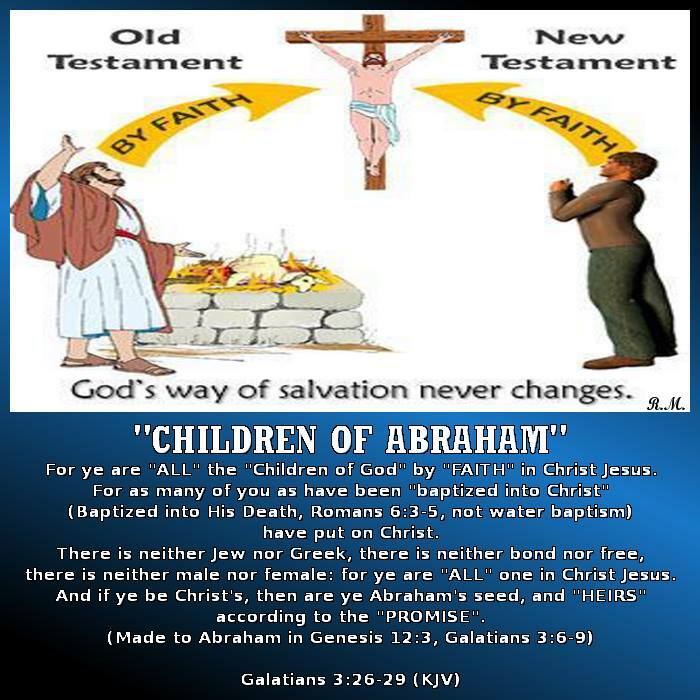 At the expense of many souls who still need to hear the gospel of Christ, these religious false prophets(profits) are ready to sacrifice the lives of non-Jews, for their own twisted theology. 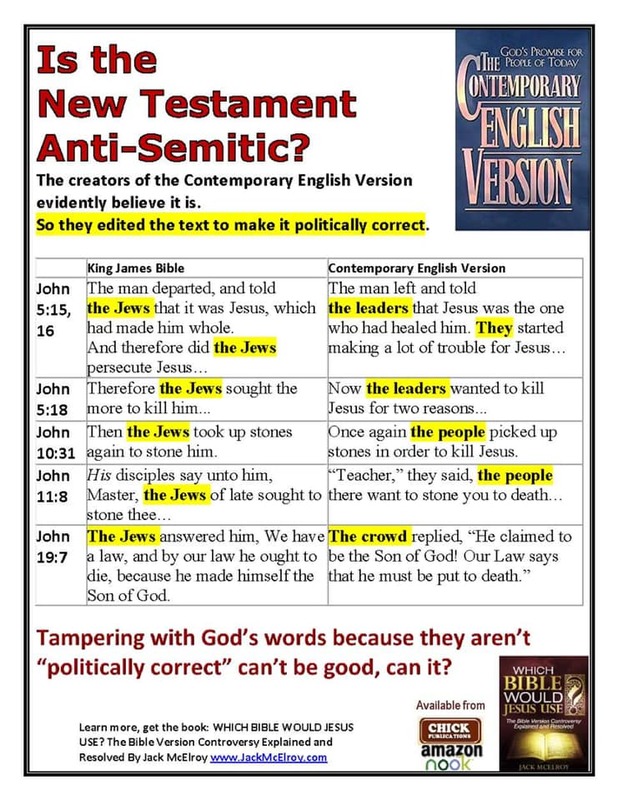 Should it be “Passover” or “Easter”? What was Wrong with C. I. Scofield? What about G. Campbell Morgan? Does the True God of the Bible have a “feminine side”, named “Shekinah”??? 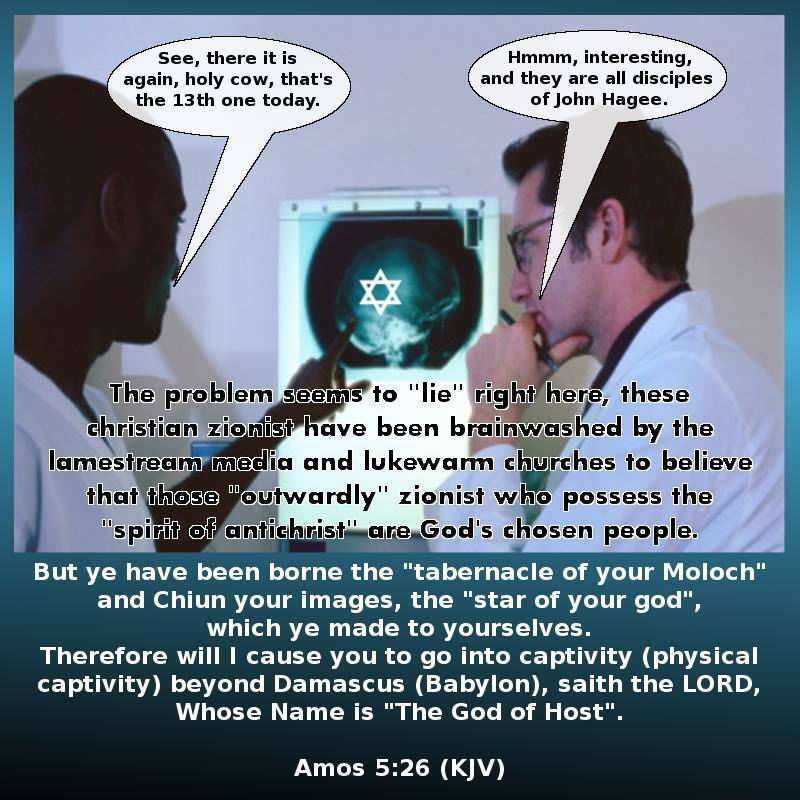 Are these God’s “Chosen People”?? What Exactly is a “Holocaust”?? 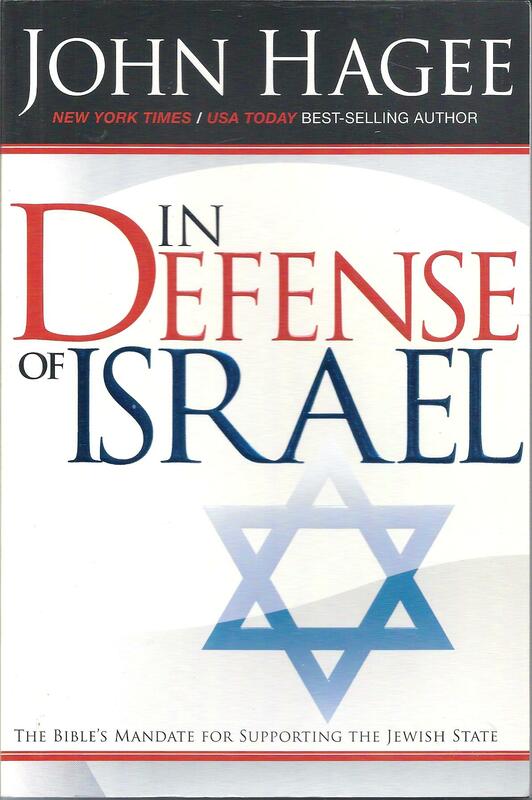 Texe Marrs recommends this Book!